On fun packages to kick off the week ~ i love that HBO and Cornerstone Promotion have teamed up with Mimoco to promote their new new shows. 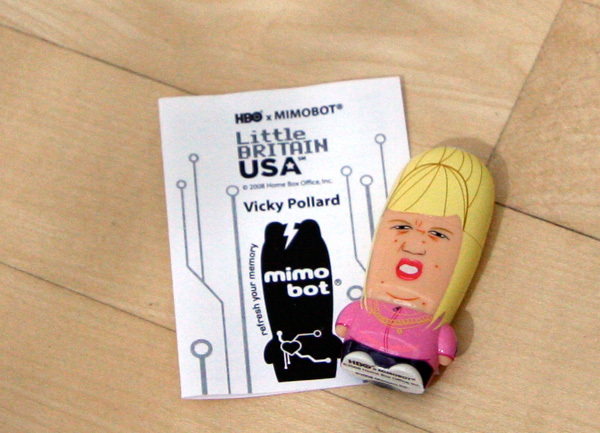 As we saw on .org, The Official Vanache Blog received a Life and Times of Tim Mimobot earlier ~ and i just received “Vicky Pollard” from the freshly launched Little Britain USA (the american version of the extremely successful BBC comedy) that just started last night. 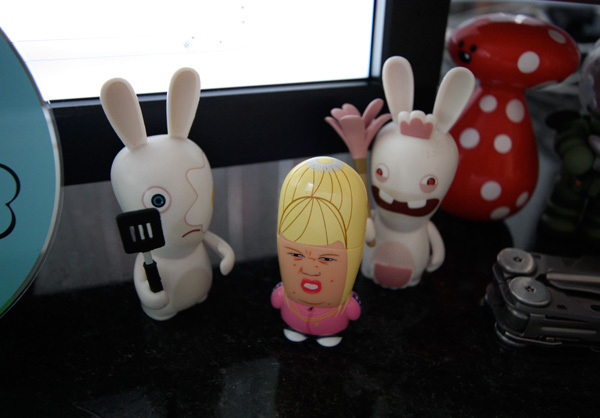 This little USB is filled with videos introducing a few of the characters! 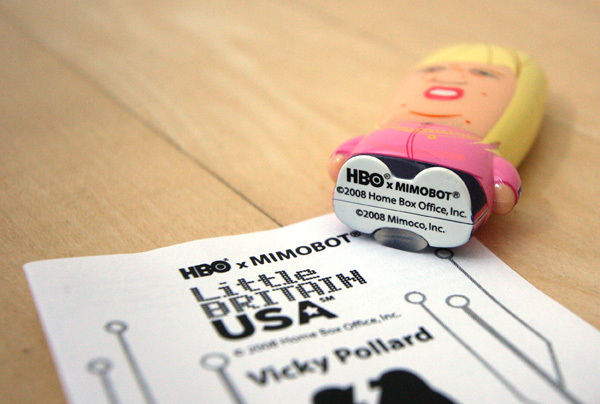 On noteworthy things from a creative/marketing perspective, i love that Mimobots have managed to really up the standards in giveaway USB drives filled with content, and that companies like HBO and Cornerstone are thinking outside of the box, designing collectible limited edition characters. 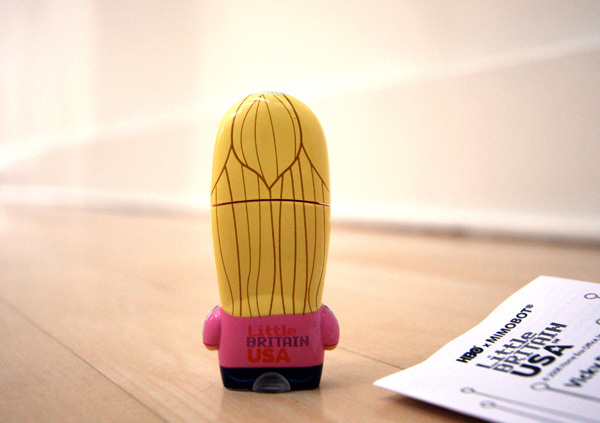 In the case of the Little Britain USA characters, only 4000 of each were made. 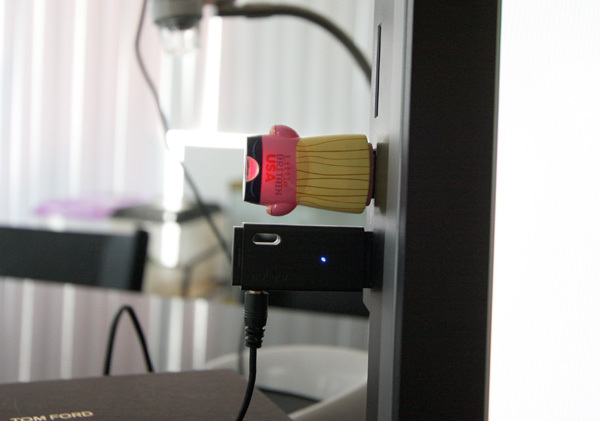 See more images on the next page! 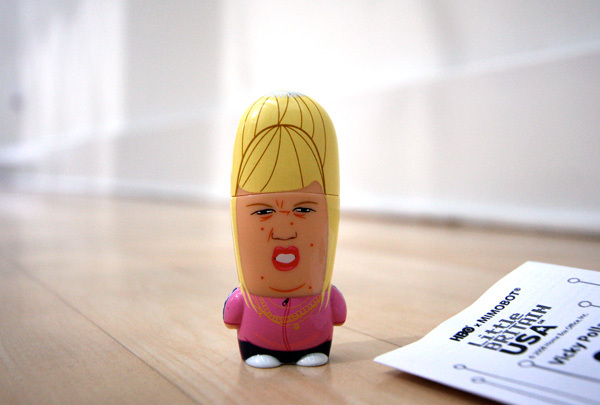 I want one!!! Is this even possible? My brother in law is IN LOVE with that show. 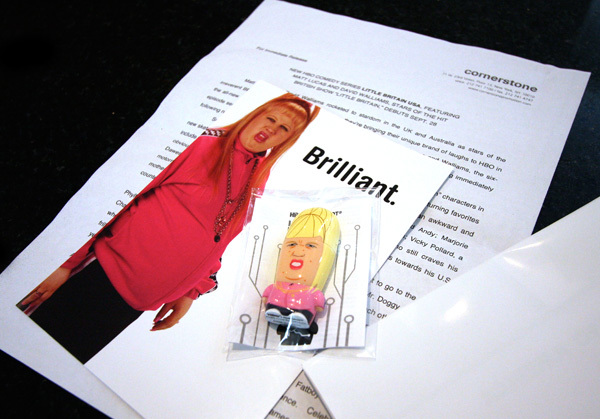 And what a clever give-away!! !